WASHINGTON, D.C. (March 22, 2017) – (RealEstateRama) — The level of commercial/multifamily mortgage debt outstanding increased by $46.0 billion in the fourth quarter of 2016, as three of the four major investor groups increased their holdings. That is a 1.6 percent increase over the third quarter of 2016. On a year-over-year basis, the amount of mortgage debt outstanding at the end of 2016 was $162.0 billion higher than at the end of 2015, an increase of 5.8 percent. Total commercial/multifamily debt outstanding rose to $2.96 trillion at the end of the fourth quarter. Multifamily mortgage debt outstanding rose to $1.14 trillion, an increase of $27.3 billion, or 2.4 percent, from the third of quarter of 2016. “After years of property prices outpacing mortgage debt growth, we expect the two to move in concert going forward. During the recession, property prices declined by roughly 40%. Because debt is ‘stickier’ and outstanding loan balances don’t automatically adjust to changes in prices, MDO remained stable. In the years since, prices bounced back and now exceed their pre-recession levels, while MDO – which hadn’t declined – rose at a much slower pace. 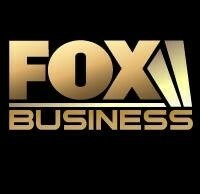 The ratio between the two is now back to where it was before the recession,” Woodwell continued. Commercial banks continue to hold the largest share of commercial/multifamily mortgages, $1.2 trillion, or 40 percent of the total. Agency and GSE portfolios and MBS are the second largest holders of commercial/multifamily mortgages, holding $521 billion, or 18 percent of the total. CMBS, CDO and other ABS issues hold $459 billion, or 16 percent of the total, and life insurance companies hold $420 billion, or 14 percent of the total. Many life insurance companies, banks and the GSEs purchase and hold CMBS, CDO and other ABS issues. These loans appear in the “CMBS, CDO and other ABS” category. Looking solely at multifamily mortgages, agency and GSE portfolios and MBS hold the largest share, with $521 billion, or 46 percent of the total multifamily debt outstanding. They are followed by banks and thrifts with $383 billion, or 34 percent of the total. State and local government hold $92 billion, or 8 percent of the total; life insurance companies hold $66 billion, or 6 percent of the total; CMBS, CDO and other ABS issues hold $47 billion, or 4 percent of the total, and nonfarm noncorporate business holds $13 billion, or one percent of the total. In the fourth quarter of 2016, banks and thrifts saw the largest increase in dollar terms in their holdings of commercial/multifamily mortgage debt – an increase of $26.8 billion, or 2.3 percent. Agency and GSE portfolios and MBS increased their holdings by $21.3 billion, or 4.3 percent, and life insurance companies increased their holdings by $6.5 billion, or 1.6 percent. CMBS, CDO and other ABS issues saw the largest decrease at $8.4 billion, or down 1.8 percent. In percentage terms, other insurance companies saw the largest increase in their holdings of commercial/multifamily mortgages, an increase of 6.5 percent. REITs saw their holdings decrease 4.8 percent. The $27.3 billion increase in multifamily mortgage debt outstanding between the third and fourth quarters of 2016 represents a 2.4 percent increase. In dollar terms, agency and GSE portfolios and MBS saw the largest increase in their holdings of multifamily mortgage debt, an increase of $21.3 billion, or 4.3 percent. Commercial banks increased their holdings of multifamily mortgage debt by $8.5 billion, or 2.3 percent. Life insurance companies increased by $953 million, or 1.5 percent. CMBS, CDO and other ABS issues saw the largest decline in their holdings of multifamily mortgage debt, by $4.1 billion, or down 8.0 percent. In percentage terms, REITs recorded the largest increase in holdings of multifamily mortgages, at 5.2 percent. CMBS, CDO and other ABS issues saw the biggest decrease at 8.0 percent. Between December 2015 and December 2016, commercial banks and thrifts saw the largest increase in dollar terms in their holdings of commercial/multifamily mortgage debt – an increase of $115 billion, or 11 percent. CMBS, CDO and other ABS issues decreased their holdings of commercial/multifamily mortgages by $56.5 billion, or 11 percent. In percentage terms, other insurance companies saw the largest increase in their holdings of commercial/multifamily mortgages, an increase of 28 percent. State and local government retirement funds saw the largest decrease, at 30 percent. The $99.6 billion increase in multifamily mortgage debt outstanding during 2016 represents a 9.6 percent increase. In dollar terms, Agency and GSE portfolios and MBS saw the largest increase in their holdings of multifamily mortgage debt – an increase of $67.6 billion, or 15 percent. CMBS, CDO and other ABS issues saw a decrease of $14.7 billion in their holdings, or 24 percent. In percentage terms, REITs recorded the largest increase in their holdings of multifamily mortgages, 19 percent, while state and local government retirement funds saw the largest decrease, 34 percent. MBA’s complete Commercial/Multifamily Mortgage Debt Outstanding report can be downloaded here. 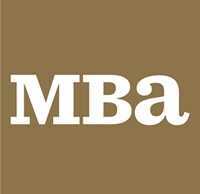 MBA’s analysis is based on data from the Federal Reserve Board’s Financial Accounts of the United States, the Federal Deposit Insurance Corporation’s Quarterly Banking Profile and data from Wells Fargo Securities. More information on this data series is contained in Appendix A.